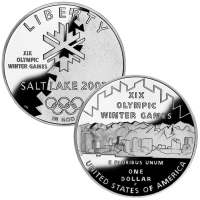 The 2002-P Olympic Winter Games Commemorative Proof Silver Dollar was released by the US Mint to celebrate the Winter Olympic Games held that year. Those games were hosted in Salt Lake City, Utah in February. They were a continuation of the Winter Olympics which were first offered back in 1924 in Chamonix, France. Sports like alpine skiing, cross-country skiing, figure skating, and ice hockey have been a part of the games since their inception. An uncirculated version of this Silver Dollar was also struck by the US Mint. The US Mint released the Proof Olympic Coin in late 2001. The initial price charged for the Olympic Proof Coin was $33.00. 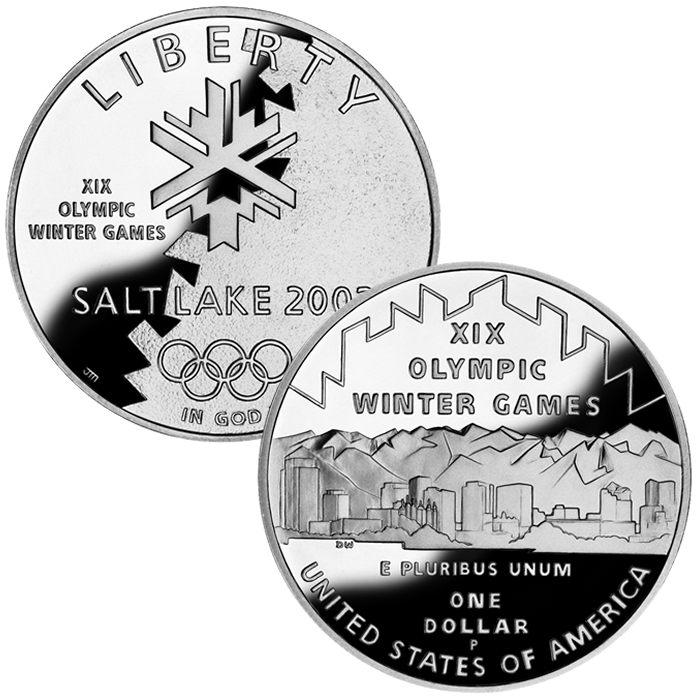 Designed by John Mercanti, the obverse (heads side) of the coin shows the crystal emblem of the 2002 Olympic Winter Games against the "rhythm of the land" emblem with the Olympic Rings shown below. The reverse (tails side) was designed by Donna Weaver and shows the skyline of Salt Lake City including the outline of the Rocky Mountains in the background.